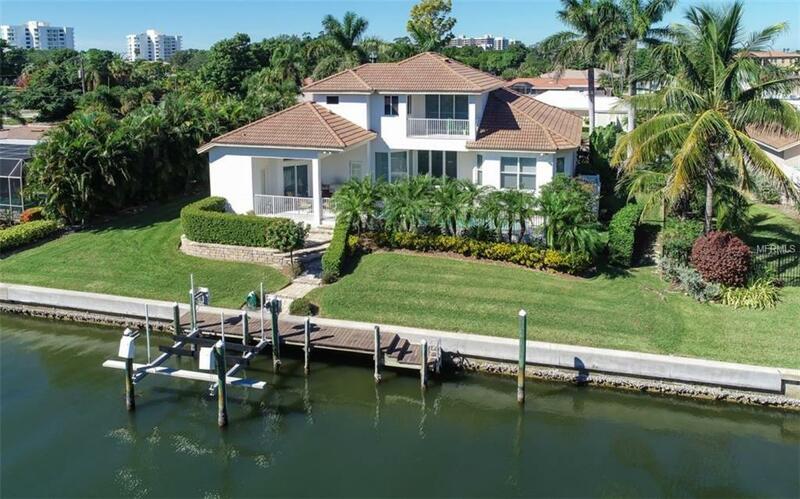 Modern interiors and 12' ceilings will wow you as you enter this canal-front home designed to maximize Island Style Living! An extensive renovation gave the home a new look and open flow. Some of the improvements are wide plank hardwood floors, gourmet kitchen open to the main living area, plantation shutters, new impact windows and sliders, built-in gas grill on the pool lanai with natural gas and expanded patio leading down to the dock with 2009 seawall cap and 14,000 lb.boat lift. Hop on your boat and you are in the Bay or Gulf in a matter of minutes for some great fishing or to cruise to your favorite waterfront restaurant as you watch for passing dolphins. 3 of the 4 bedrooms are ensuite and there is a den/library on the main level plus an office on the second floor-affording great extra space if you have lots of company. The Master Suite is on the main level and an upstairs Guest Suite could be a second Master with large walk-in closet and covered balcony with views of the canal and bay. 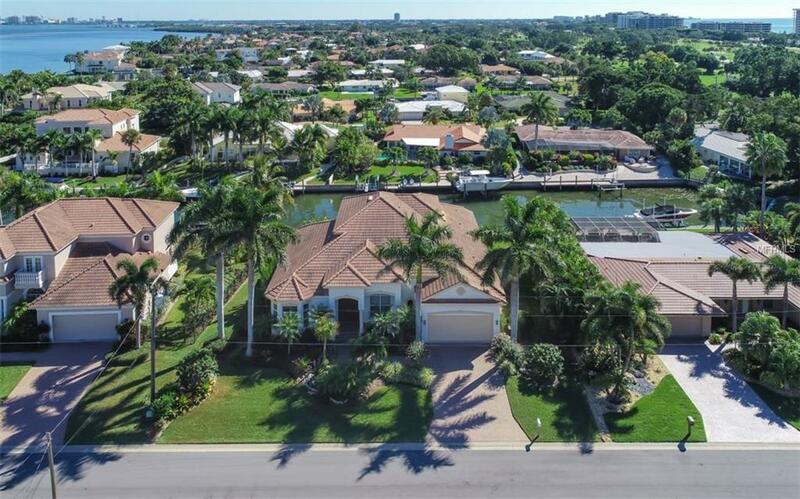 You will love the close proximity to the deeded beach access and the Longboat Key Club is just across the street and offers 45 holes of championship golf, tennis and all the other amenities you would expect from a premier club. 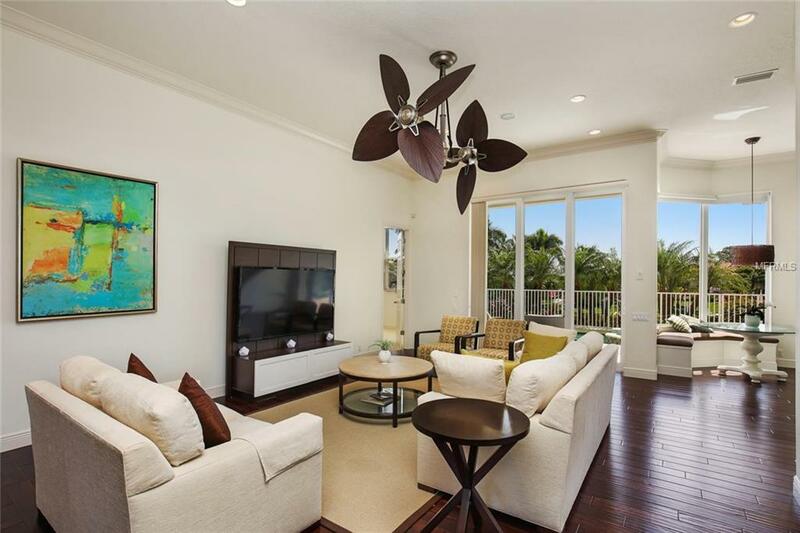 Also nearby, St. Armands Circle, renowned for its exciting variety of shops, restaurants and festivities AND downtown Sarasota where you can stroll to a myriad of cultural, entertainment and dining venues. This is the definition of "Paradise"!